January 14, 2019 factory grand opening in memory of Haiti earthquake victims, and in celebration of survivors perseverance. PORT-AU-PRINCE, Haiti, October 23, 2018	(Newswire.com) - In less than 100 days the world will remember the 200,000+ lives that were lost in the 2010 Haiti earthquake. Frontline news will marvel at the 1.5 million people who became homeless overnight and the aid dollars that seemed to vanish. One company, however, will not only honor those lost, they will celebrate the livelihoods created due to the tenacity of the survivors. deux mains, an ethical fashion brand, is using innovation to invest in the long-term development of Haiti. Combining industrial manufacturing with handmade craftsmanship, deux mains introduces an ethical production system that is sustainable. Days after the earthquake, deux mains President, Julie Colombino was on the ground to assist survivors. Since that time, she has transitioned from a disaster responder into a fashion entrepreneur, supporting dozens of dignified jobs in Haiti. 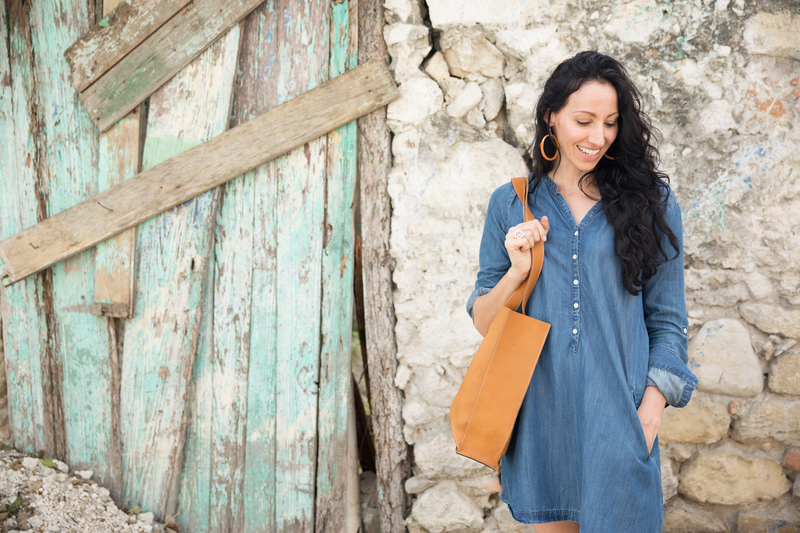 Marrying locally-sourced Haitian leathers and repurposed tires, deux mains manufactures high-end footwear and handbags for companies such as Kenneth Cole, Faithbox and Norton Point. 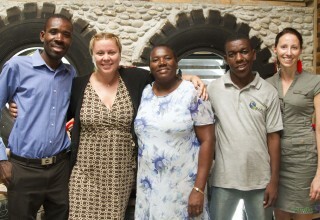 "We have beaten all the odds of growing a business in Haiti. 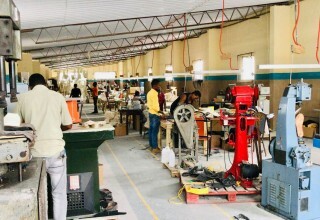 Our vision to create an innovative and competitive manufacturing system has come to fruition. We have doubled production, as well as, doubled our environmental and social impact by creating more jobs and repurposing more tires. Haiti may be poor in many ways, but access to the limitless sunshine is not one of them. We have increased impact by outfitting our building with solar so that we may harness the power of the Haitian sun, reducing C02 emissions," said Colombino. A ribbon-cutting ceremony on Jan. 14, 2019 will mark another milestone in the deux mains story of creating sustainable employment in Haiti. With dignitaries and ambassadors in attendance, deux mains will showcase local manufacturing, blending their industrial and handmade processes. The eco-brand also uses 100 percent solar energy to run their facility. deux mains is a registered Haitian business transforming the manufacturing industry by creating a set of standards that ensures products are designed to defend the environment, craftsmen and women are protected by policy, and consumers have the power to shop responsibly. First investors in the company are institutions working on global poverty such as USAID, Clinton Global Initiative, and the United Nations. Ethical fashion brand, Eileen Fisher, has also invested in the scale of the business. 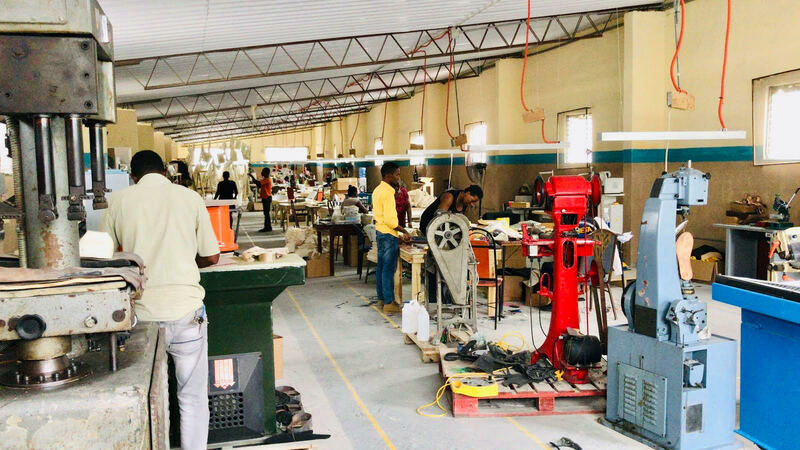 The deux mains factory grand opening and ribbon cutting ceremony takes place on Jan. 14, 2019 at 10 a.m. in Port au Prince, Haiti.